Dimitrios Katsikis is an associate in the International Arbitration practice. 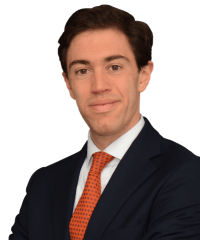 His experience includes commercial and investor-State arbitrations under the Rules of the ICC, CRCICA, ICSID and LCIA as well as ad hoc arbitrations under UNCITRAL Rules. Two Independent Power Producers (IPPs) in a Central Asian State in a dispute, subject to ICC arbitration in Singapore, against a State-owned entity of that State. The dispute arises from Power Purchase Agreements and is governed by English law. The operator of a major infrastructure project in an Asian state in connection with a Concession Agreement and EPC Contract, subject to ICC arbitration in Singapore. The law of the Asian State governs. The subsidiary of an Asian State-owned company in the energy sector as Respondent in two parallel ICC arbitrations in Singapore initiated by its Asian co-shareholder and its parent company. The dispute arises from two agreements relating to the development of an oil storage facility and related port facilities in Asia. English law and the law of the Claimants’ State apply. 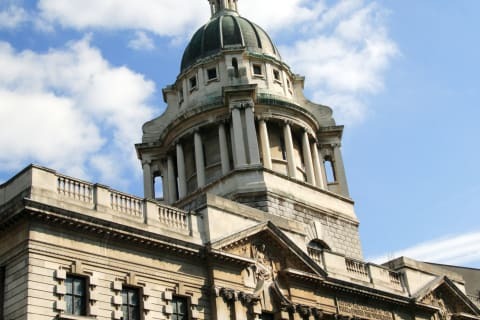 A Southeast Asian listed company as Claimant in an LMAA arbitration in London against a Chinese shipyard. The dispute arises in connection with various shipbuilding contracts. English law applies. Nine Asian Independent Power Producers (IPPs) as Claimants in an LCIA arbitration seated in London against a State-owned entity. The disputes arises out the non-payment of certain amounts under Power Purchase Agreements concluded between the IPPs and a State-owned entity. The law of the country of the State-owned entity applies. Egyptian Natural Gas Holding Company (EGAS) and Egyptian General Petroleum Corporation (EGPC) as Claimants in a CRCICA arbitration in Cairo with East Mediterranean Gas S.A.E. (EMG), arising out of a long term gas supply contract between EGAS, EGPC and EMG. English law applies. Egyptian Natural Gas Holding Company (EGAS) and Egyptian General Petroleum Corporation (EGPC) as Respondents in an ICC arbitration in Geneva brought by East Mediterranean Gas S.A.E. (EMG), arising out of a long term gas supply contract between EGAS, EGPC and EMG. English law applied. The Arab Republic of Egypt as Respondent in an ICSID arbitration initiated by Ampal-American Israel Corporation and other investors (ICSID Case No. ARB/12/11) concerning alleged violations of investors’ rights under the Egypt-U.S. and the Egypt-Germany bilateral investment treaties. The investment concerns a long term contract for the supply of natural gas. The Arab Republic of Egypt as Respondent in an investment arbitration concerning alleged violations of investors’ rights under the Egypt-Poland bilateral investment treaty. The investment concerns a long term contract for the supply of natural gas. The majority shareholders in the former Yukos Oil Company as Claimants in a series of three arbitrations against the Russian Federation in relation to the expropriation of their investment in the company. The claims were brought under the Energy Charter Treaty, a multilateral treaty governing trade and investment in the energy sector. The arbitrations were conducted in accordance with the UNCITRAL Arbitration Rules and were administered by the Permanent Court of Arbitration (PCA) in The Hague. In an Interim Award of November 20, 2009, the Arbitral Tribunal decided that it had jurisdiction over the dispute and that the claims were admissible. In a Final Award rendered on 18 July 2014, the Arbitral Tribunal ordered the Russian Federation to pay over $50 billion in damages to our clients, which makes this the largest arbitral award ever rendered by an arbitral tribunal. The Tribunal also ordered the Respondent to reimburse to our clients 75% of the legal fees they had incurred in these proceedings, as well as 100% of the arbitration costs.